Founded in 1977, the Macula Society is a forum for new research in retinal vascular and macular diseases. Membership is by application, with acceptance criteria including extensive contribution to retinal literature. 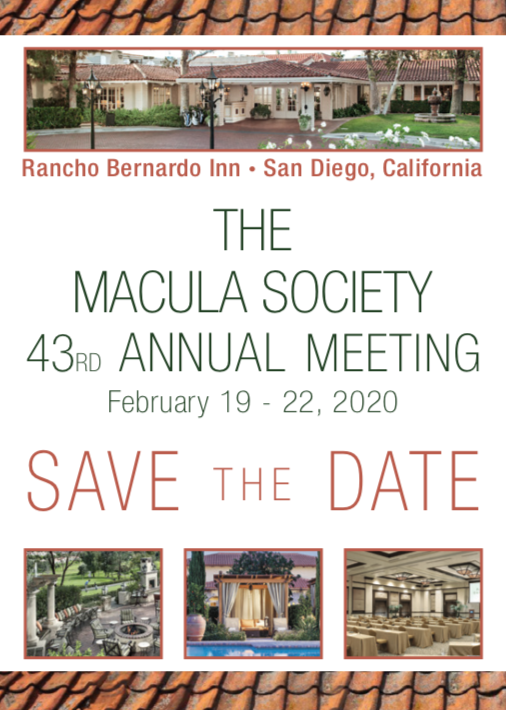 The Macula Society recognizes outstanding achievement by its members and others through awards and lectures, and holds an annual meeting open to members, their guests co-authors, and supporting company representatives. AAO Eye Wiki is an ophthalmic wiki where ophthalmologists, other physicians, patients and the public can view an eye encyclopedia of content written by ophthalmologists covering the vast spectrum of eye disease, diagnosis and treatment. Any qualified ophthalmologist, or ophthalmologist in training, is invited to contribute content to the wiki and post it immediately. For content guidelines and more information see About EyeWiki and Getting Started. EyeWiki is a collaboration between the American Academy of Ophthalmology and these societies. The ICO is excited to let our society members know about the formation of a new special interest group for ophthalmic educators, ICO Ophthalmic Educators Group (ICO-OEG). More information on the ICO-OEG is available here.